In order to become strong and thrive in your daily life it takes obedience, discipline, and proper management of principles. Anyone can overcome obstacles or push their way to the front of the line. It just takes initiative and the willpower to do so. One of the main things that I have learned over the years of my life, is that the only thing that matters is this moment right here, right now. You can easily get lost in your train of thoughts or the abundance of information that is placed in front of the eye every second, however you have to look at what needs to get done now. By now, I mean this instant or this day. If you can’t get on your feet and face your obstacles you will only set things back. Procrastination is like a credit card, it’s fun to use until it’s time to pay the bill. If you’re like most people you probably try to juggle different methods of problem solving, however you may still feel like you’re falling slightly short of your goals or your accomplishments within a given time frame. Everyone faces their own personal circumstances and everyone’s situation is different, but once you learn how to create and become the controller of your outer world, any situation may change into your personal favor. It may take practice, but you can master any form of art, or any trade if you simply realize your personal creative powers and put your body and mind to work. As long as you believe in the fact that you are the master of the seeds of your being, your ideals shall unveil. Attainment can come through concentration and correctly applying the direction of your focus. Attainment can also be acquired by successfully leading upon your principles. Develop an income. Be proactive. Seek out jobs, work, or projects. Don’t simply wait for things to come to you. Self-Educate, read books, magazines, blogs, and utilize online MOOC’s or iTunes U. Learn new trades or skills that will be valuable for a lifetime. Have two budgets: An Operational Budget and Opportunities Budget. Figure out the question… What is my special talent or talents? What can I contribute to society? Set up a wise schedule to ensure adequate work is completed and time is not wasted. Set goals, and complete them for each upcoming week. 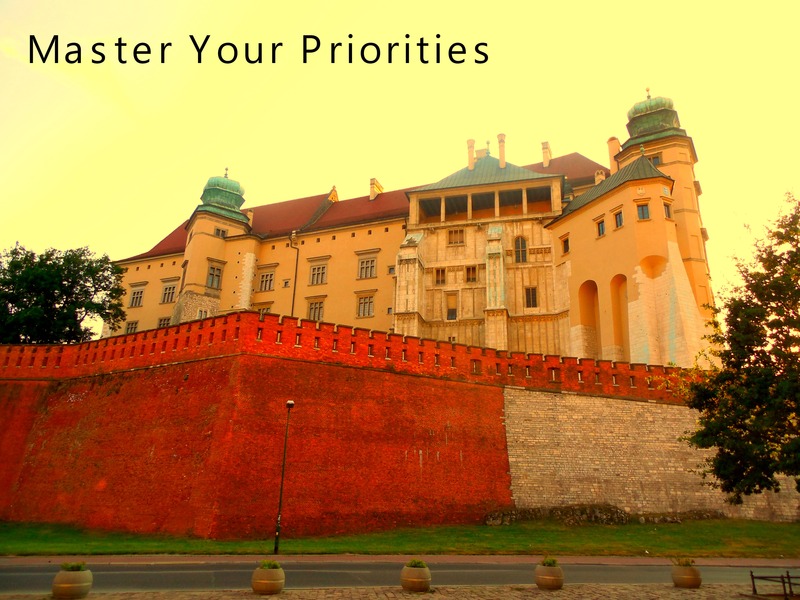 One thing that I will mention that is critical to develop in order to become a master of priorities and very disciplined is to develop a BS monitor. In other words for me, I personally look around and see certain substances, items, or activities as providing little positive benefit for me and for the outer world as a whole. For instance when I go to a gas station and I walk inside, I can immediately see stacks of gum, candy bars, and cigarettes which are just a few items that I can mention that would provide little benefit to my body or my existence. For some people these items are like magnets and every time they see them they feel an innate urge to buy and consume toxic items. I like to treat myself well and I don’t consider junk like candy bars, aspartame filled gum, or cigarettes as substances that contribute to my well-being. I don’t mean to sound like a pessimist, I’m just stating that these items provide use for some people, however I feel like they don’t provide lasting value. If you educate yourself, and learn disciplinary habits you can begin to walk through life and easily decipher what is worth your time and what isn’t. Through time you also begin to realize what is worth ingesting, and what should be simply avoided. Spending your time in environments which take advantage of you, or your creative willpower are best to be left behind. If you’re a winner build a winning mentality and leave toxic habits behind in the dust. You are the decision maker. You are what you do; but achievements alone, don’t define you. You are NOT what you have. Possessions try to control us and enslave us, but try not to let this happen. You are not separate from everyone else. We all share this world together. You don’t have to wait for approval or other people’s assessment of your worthiness. There you are, you don’t need to have permission to get your goals done, go out and get what you want. Be a go-getter, set your own trends, live how you please. Once you work towards a position or level of obtainment, you begin to see how important it is to position yourself well. If you aren’t willing to work to get towards your goals, you’re only setting yourself back. Sometimes you might get pushed around, whether it be by people, or other activities and tasks that fight for your time. What it takes is initiative to take a stand, and if you have to, you’ve got to push your way towards the front. Never accept anything less than what you know your self-worth represents. Don’t watch the clock, and don’t pay attention to the naysayers. Just keep going until you’ve mastered whatever it is that you set out to accomplish, and while you’re at it, remember to feel alive and spread the gifts of life whenever you can!